Robert Craig offers opinion on the ability of the executive to trigger Article 50 without needing fresh legislation. Considerable public interest has recently been focused on the ‘trigger’ mechanism for exit from the EU which is set out in Article 50 of the Lisbon Treaty. 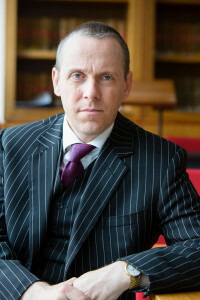 Expert opinion has divided between those who believe that the power to trigger Article 50 rests with the Executive using the legal authority of the royal prerogative from the Crown with no further parliamentary involvement necessary and those who argue that fresh legislation is required to confer statutory authorisation on the Executive to do something which could render nugatory rights under the European Communities Act 1972 (‘ECA’). An ingenious third way involving section 2(2) of the ECA has also been suggested. In other words the PM can initialize Article 50 but Parliament still has to act to generate the necessary procedure. It would be too easy for malcontents within Parliament to attempt to scupper the PM’s best efforts thus ensuring a long and tortuous procedural wrangle overtakes the majority of Government business, much to the detriment of the UK. Hopefully the PM’s team are up standard. The Petitions Committee said the debate would be on 5 September as a “huge number” had signed it. But the committee said the debate did not mean it was supporting the call for a second referendum and it was “too late” to change the referendum rules. “I voted 33,000 times. Left a script running while I was taking a shower,” wrote one member. May Day today. Where is the dance? When Ireland voted against the Lisbon treaty it was intimidated and told to vote again, think about that, Britain who voted in favour of Brexit and was part of the same… Anyway, now that Britain is leaving the unelected political union, we have to negotiate borders in northern Ireland with the EU, or would it take a genius to understand that Ireland must leave too? Sparks; I think UK govt will adopt a wait and see approach to the N.I. – Eire border. No need to solve problems that don’t exist. I’d love to see Eire leave the EU and help reshape the UK as ‘The British Isles’. What might bring that about will be the demise of the Euro in a few years time.